Dr. Bradley Grossman and his staff offer chiropractic treatment options to their patients who suffer from headaches/migraines. The doctor serves residents who live in the Chelsea, New York City, New York area. "I highly recommend him to patients of all ages for any issues you are having." "Dr. Grossman is a gentle and generous soul who really knows the body and what it needs." "Dr. Grossman will take good care of you because he cares. He is a real healer." "I have been going to Dr. Bradley for over 20 years and highly recommend him." Is Stress a Factor in Migraines? Stress can have a dramatic effect on all types of headache pain, including migraines. Stress can cause blood vessels in the brain to constrict reducing blood flow to the brain and cause intense pain and discomfort. As blood flow becomes compromised, the tissues can become inflamed further increasing the discomfort. Massage therapy performed on the head and neck can help to reduce the inflammation and restore proper blood flow. Chiropractic adjustments can also help by gently shifting the bones in the neck to relieve the pressure caused by stress. Combining both treatments can offer twice the benefits in a shorter amount of time. What are Common Triggers for Migraines? Migraines can have any number of triggers. Each person will react differently to certain triggers while having no reaction at all to others. Bright lights, strong odors, extreme temperature fluctuations, loud noises, or quick movements can produce intense migraine pain that may last for several hours or several days. Once a person begins to identify their potential triggers, they can attempt to avoid them. If they cannot be avoided, the patient may be able to use preventative measures to help reduce the severity of the attack. Acupuncture and chiropractic adjustments are both effective at helping to maintain balance within the head and neck and eliminate or reduce the effects of migraine and headache pain. A concussion is the result of blunt force trauma to the head which results in the skull or the brain being damaged in some way. Most blows to the head will be accompanied by headache pain and dizziness, but a concussion may present other symptoms that may be harder to pinpoint unless the person knows what they are looking for. One of the most telling signs of a concussion is the dilation of one pupil. When a light is directed into a person's eyes, both pupils should get smaller at the same time and remain equal in size. If a person receives a concussion, one of their pupils may dilate even if a light is directed towards. The person's vision may also be blurry or they may see multiple images. How Common are Chronic Headaches and Migraines? "Dr. Grossman saved my life. Thank you Dr. Grossman. I will never forget. He's a five star doctor plus 5 in my book." "I had 2 herniated discs and was in complete and total pain. They referred me to pain management. Lucky I found Dr. Bradley and he cured my back. Thanks Dr. Bradley." "I'm a personal trainer and I have found that Dr Grossman has been able to consistently help my clients with postural improvement." 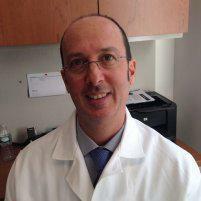 "Been seeing Dr. Grossman for almost 2 years for lower back pain. He has wonderful bedside manner, very calming."